But what if faith in QE is woefully misguided? What if markets and policymakers alike come to appreciate that QE only masked underlying fragilities and delayed desperately needed structural reform? Worse yet, what if the reality is that QE exacerbated latent financial fragility – through more leverage, speculation, misperceptions and market distortions. And what about social and political instability? Surely, there’s growing recognition that a decade of monetary stimulus and resulting Bubbles have further redistributed wealth and worsened inequality. It was a downbeat Mario Draghi Thursday discussing the end of the ECB’s QE program. Undoubtedly, he always anticipated concluding an unprecedented $2.6 TN ECB balance sheet expansion with the eurozone in an upbeat environment – with Europe’s markets and economies in a good place. They’re anything but. December’s aggregate eurozone PMI index declined to 51.4, the lowest reading since February 2016. With chaotic riots, France’s industrial sector is now contracting (PMI below 50). Perhaps more troubling, France’s Services PMI sank five points to 49.6, the low going back to February 2016. Germany’s ZEW economic sentiment index collapsed 13 points in December to 45.3. This is down from 95 early in the year and the lowest reading since January 2015. Yet Europe’s economy is a pillar of strength when compared to the frail political landscape. Surely QE proponents would have expected the printing of $2.6 TN of new “money” to have, at least for a period, worked to pacify the masses and temper political instability. Detractors of unsound money and Credit are anything but surprised by heightened instability throughout the eurozone, certainly including the heavyweight Italian, French and German economies. The euro is arguably more vulnerable today than back in 2012. Proponents of central bank stimulus operations take a sanguine view. They note that the ECB joined the global QE party late (2014). Truth be told, the ECB and global central banks are a full decade into their exalted monetary experiment. Let’s not forget Draghi’s “whatever it takes,” along with the ECB’s 2012 “Outright Monetary Transactions" program (OMT). Then there was 2011’s “Long-term Refinancing operations (LTRO),” where the ECB lent $640 billion directly to eurozone banks (liquidity in many instances used to buy government bonds). And back in 2010, the ECB adopted their “Securities Market Program.” All told, the ECB’s balance sheet expanded from a pre-crisis $1.5 TN to almost $4.7 TN. Proponents proclaim a decade of central bank stimulus has proven a tremendous success. They would point first to stock, bond and asset markets more generally. I view the same markets and see acute instability and fragility. I believe a decade of monetary stimulus has exacerbated financial, economic, social, political and geopolitical instabilities. This will surely be debated for decades to come. Credit is a financial claim – an IOU. New Credit creates purchasing power. Credit is self-reinforcing. When Credit is expanding, the creation of this new purchasing power works to validate the value of Credit generally. In general, new Credit promotes economic activity, both spending and investment, in the process promoting higher incomes. Credit expansions fuel higher price levels throughout the economy, including incomes, real estate, stocks and bonds. Higher perceived wealth stimulates self-reinforcing borrowing, spending and investment. Traditionally, bank lending for business investment was a prevailing mechanism for finance to enter into the economic system. There were various mechanisms that worked to contain Credit expansions, including the gold standard and disciplined monetary regimes. As important, there were traditions against deficit spending, running persistent trade deficits and profligacy more generally. Moreover, there were bank reserve and capital requirements that placed constraints on lending and financial excess. In short, there was a limited supply of “money,” with excessive borrowing demands pressuring interest rates higher. There was certainly cyclicality, but systems tended toward adjustment and self-correction. It’s not only the decade-long experiment with QE (with ultralow rates) that makes contemporary finance unique in history. As the key source of additional system “money” and Credit, banks and business investment were some time ago supplanted by market-based finance and leveraged securities/asset purchases. Contemporary (“digitalized”) finance expands virtually without constraint. Meanwhile, finance entering the system to speculate on higher asset prices creates a very different dynamic than back when bank loans were financing capital investment. Excessive borrowing and investment placed downward pressure on profits, in the process reducing the incentive to borrow, invest and lend. In contrast, a system of unfettered “money” and Credit financing asset prices is acutely unstable. Expanding finance leads to higher asset prices and only greater impetus to borrow and speculate. I believe the world over the past two years experienced a momentous speculative blow-off – in stocks, bonds, corporate Credit, real estate, M&A, art, collectibles, and so on. I would further argue that speculative melt-ups are quite problematic for contemporary finance. Surging asset prices spur rapid increases in speculative Credit, unleashing new self-reinforcing liquidity/purchasing power upon markets, financial systems and economies around the globe. The problem is it doesn’t work in reverse. The greater the price spikes, the more vulnerable markets become to destabilizing reversals. De-risking/deleveraging dynamics then see a contraction of speculative Credit, leading to problematic self-reinforcing destruction of marketplace liquidity. As inflationism has demonstrated throughout history, QE was always going to be a most slippery slope. The notion of inflating risk asset markets with central bank liquidity has to be the most dangerous policy prescription in the sordid history of central banking. And, importantly, the longer central bankers held to this policy course the deeper were market structural distortions. Rather than attempting to rectify crucial flaws in contemporary finance, central bankers chose inflationism and market backstops as stabilization expedients. This was a monumental mistake. The expansion of central bank balance sheets ensured a parallel expansion in global speculative leverage. Over time, there was an increasing multiplier effect on each new dollar/yen/euro/etc. of central bank “money.” The original Fed QE “money” program basically accommodated speculative deleveraging. In contrast, the past few years (in particular) incited an aggressive expansion of speculative leverage throughout global securities and asset markets. In addition, the parabolic increase in central bank liquidity over recent years was instrumental in the parabolic ballooning of ETF assets and passive investment funds more generally. While not “leverage” in the conventional sense, the enormous growth in ETF/passive funds and associated risk misperceptions have amounted to a historic market distortion. Trillions flowed into risky stocks, bonds, corporate Credit, EM assets and derivative structures believing that these fund shares were a liquid store of (nominal) value. The phenomenon of perceived money-like ETF shares was integral to the global risk market speculative blow-off. The problem with speculative blow-offs is that they inevitably reverse. Upon the reversal, the seriousness of the problem is proportional to the amount of underlying leverage, the degree of market misperceptions and the scope of associated market and economic structural maladjustment. The world now confronts one hell of a problem. The unfolding de-risking/deleveraging dynamic is extraordinarily problematic from a liquidity standpoint. A powerful “risk off” dynamic – having unfolded following a global speculative blow-off instigated by massive central bank liquidity injections - leaves global “system” liquidity acutely vulnerable. Faltering global liquidity will now expose the misperception of “moneyness” for ETF and passive index products. As such, global markets are now at high risk to global de-risking/deleveraging fomenting a transformative change in risk perceptions. Past risk reassessments (that seem minor compared to what is now unfolding) have led to panic and dislocation. Flawed central bank policies are directly responsible for both a decade-long global Bubble and the more recent speculative blow-off. Markets, meanwhile, cling to the belief that central bankers remain fully committed to doing “whatever it takes” to hold bear markets, recessions and crises at bay. There’s a disconnect. The harsh reality is that “whatever it takes” has failed. It was built on fallacious notions of inflationism, markets and finance, more generally. Most regrettably, a tremendous amount of market hopes, dreams and capitalization have been built on little more than fallacy. Total global Credit growth has slowed dramatically. I would argue speculative (securities and derivative-related) Credit, having evolved into a key marginal source of total global Credit, is now in significant self-reinforcing contraction. This portends liquidity issues for markets, faltering asset values and trouble for economies. In the markets, Fear is supplanting greed. Risk aversion and waning liquidity now spawn powerful Contagion across markets. QE previously bailed out the leveraged loan market twice, along the way solidifying the perception of “moneyness” for leveraged loan fund shares. What was not to like about owning assets with above-market yields that would reset higher as the Fed raised rates? And as “money” flooded into leveraged lending, liquidity and recession risks were about the furthest things from investors’/speculators’ minds. The Bubble has burst – the greater global Bubble, the Bubble in leveraged lending, and Bubbles across asset classes around the globe. In the case of leveraged loans, I don’t expect another bout of QE to resuscitate Bubble Dynamics. Excess within this market, similar to so many, went to parabolic extremes. Risk misperceptions went to extremes; lending terms to extremes; and speculation to extremes. Now the downside. Company denials and positive analyst comments didn’t stop a double-digit Friday drubbing in Johnson & Johnson’s stock. It’s worth noting that the Healthcare SPDR (XLV) sank 3.4% in Friday trading. Prior to Friday’s drop, the XLV had enjoyed a y-t-d return of 12.6%, trading near all-time highs just seven sessions earlier. The index was up over 53% from 2016 lows (J&J up almost 60%). It was a timely reminder of how deeply Bubble Dynamics have permeated the marketplace. I would argue that some of the greatest excesses have unfolded in perceived low-risk sectors and strategies, certainly including the “defensive” healthcare space. Perceived low risk became a risky Crowded Trade. In the unfolding bear market, there will likely be few places to hide. What only weeks ago appeared a rather straightforward meeting is now a pivotal juncture for the Federal Open Market Committee. With low unemployment and relatively robust household and business expenditures, the Fed has been widely expected to raise rates next Wednesday. It may now be a close call. But, then again, the Fed may not yet appreciate the seriousness of what is unfolding in the markets. They’re in a real predicament, along with central bankers around the world. They all waited way too long to begin normalizing monetary policy. Today, normalization has barely even commenced, and yet the Bubble they nurtured has already begun to deflate. We’ll continue to closely monitor Chinese Credit data. Credit growth bounced back strongly in November. Total Social Financing (TSF) rose from a weak October’s $84 billion (weakest since October ’15) to $198 billion. This was still 15% below growth from November ’17. This puts y-t-d TSF expansion at $2.129 TN, down 20% from comparable 2017. This slowdown is explained by contractions in key categories of “shadow” lending. As noted above, Chinese Bank Loans expanded strongly in November. At $182 billion, new loans were 12% above November ’17. Bank Loans have expanded $2.186 TN y-t-d, running 17% above comparable 2017. At $95 billion, Consumer Loans were 6% above November ’17. Indicative of a booming year of mortgage lending, y-t-d growth in Consumer Loans is running 18% above last year. In numbers that illuminate the scope of China’s mortgage finance Bubble, Consumer Loans increased 44% in two years, 78% in three years and 141% in five years. I don’t want to imply that resurgent Chinese Credit growth and/or even a more dovish Fed wouldn’t matter. I just believe at this point the bursting global Bubble is increasingly beyond resuscitation. A bold statement, I fully appreciate. But Fear is rapidly supplanting greed in “Core” U.S. securities markets. The “Core” has seen de-risking/deleveraging dynamics attain important momentum. Latent “Core” fragilities are being exposed. And the further the global Bubble deflates, the greater the scope of monetary stimulus required to re-energize broad-based securities market inflation. I fully expect more QE. But it will come in a crisis backdrop. I’ll presume the first few Trillion or so will, at best, accommodate deleveraging. The right way to think about cryptocurrency coins is as lottery tickets that pay off in a dystopian future where they are used in rogue and failed states, or perhaps in countries where citizens have already lost all semblance of privacy. That means that cryptocurrencies are not entirely worthless. CAMBRIDGE – With the price of Bitcoin down 80% from its peak a year ago, and the larger cryptocurrency market in systemic collapse, has “peak crypto” already come and gone? Perhaps, but don’t expect to see true believers lining up to have their cryptocurrency tattoos removed just yet. At a recent conference I attended, the overwhelming sentiment was that market capitalization of cryptocurrencies is still set to explode over the next five years, rising to $5-10 trillion. For those who watched the price of Bitcoin go from $13 in December 2012 to roughly $4,000 today, this year’s drop from $20,000 is no reason to panic. It is tempting to say, “Of course the price is collapsing.” Regulators are gradually waking up to the fact that they cannot countenance large expensive-to-trace transaction technologies that facilitate tax evasion and criminal activity. At the same time, central banks from Sweden to China are realizing that they, too, can issue digital currencies. As I emphasized in my 2016 book on the past, present, and future of currency, when it comes to new forms of money, the private sector may innovate, but in due time the government regulates and appropriates. But as I also pointed out back then, just because the long-term value of Bitcoin is more likely to be $100 than $100,000 does not necessarily mean that it definitely should be worth zero. The right way to think about cryptocurrency coins is as lottery tickets that pay off in a dystopian future where they are used in rogue and failed states, or perhaps in countries where citizens have already lost all semblance of privacy. It is no coincidence that dysfunctional Venezuela is the first issuer of a state-backed cryptocurrency (the “Petro”). The ultimate obstacle for any cryptocurrency is that eventually there has to be a way to buy a range of goods and services beyond illicit drugs and hit men. And if governments ever make it illegal to use coins in retail stores and banks, their value must ultimately collapse. Many crypto-evangelists insist that Bitcoin is “digital gold,” in part because the long-term supply is algorithmically capped at 21 million. But this is nutty. For one thing, unlike gold – which has always had other purposes and today is employed widely in new technologies from iPhones to spacecraft – Bitcoin has no alternative use. And even if Bitcoiners manage to find a way to lower the phenomenal energy cost of verifying transactions, the very nature of decentralized ledger systems makes them vastly less efficient than systems with a trusted central party like a central bank. Take away near-anonymity and no one will want to use it; keep it and advanced-economy governments will not tolerate it. The evangelists dismiss such concerns: Bitcoin can still be incredibly valuable as long as enough people perceive it as digital gold. After all, they argue, money is a social convention. But economists (including me) who have worked on this kind of problem for five decades have found that price bubbles surrounding intrinsically worthless assets must eventually burst. The prices of assets that do have real underlying value cannot deviate arbitrarily far from historical benchmarks. And government-issued money is hardly a pure social convention; governments pay employees and suppliers, and demand tax payments in fiat currency. But it is too soon to say how the new world of digital currencies will play out. Central banks will get into the game (their reserves are already a form of wholesale digital currency), but that is not the end of the story. US Treasury Direct, for example, already offers retail customers an extremely low-cost way to hold very short-term Treasury debt for amounts as little as $100, tradable to others in the system. Still, heavy security makes the system relatively cumbersome to use, and just maybe governments might adopt one of today’s private digital technologies. For the moment, the real question is if and when global regulation will stamp out privately constructed systems that are expensive for governments to trace and monitor. 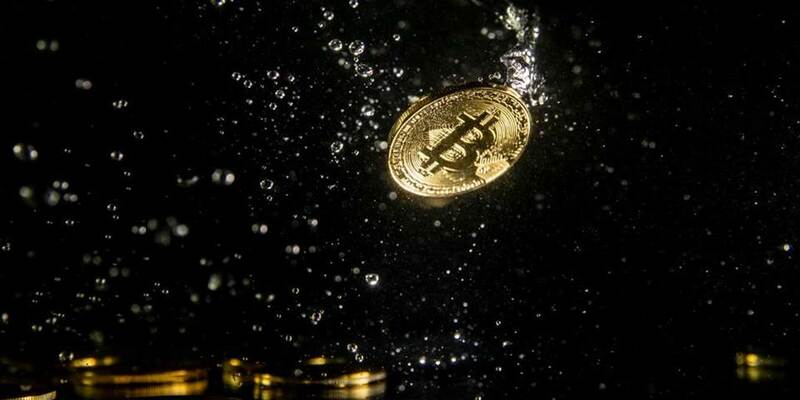 Any single large advanced economy foolish enough to try to embrace cryptocurrencies, as Japan did last year, risks becoming a global destination for money-laundering. (Japan’s subsequent moves to distance itself from cryptocurrencies were perhaps one cause of this year’s gyrations.) In the end, advanced economies will surely coordinate on cryptocurrency regulation, as they have on other measures to prevent money laundering and tax evasion. But that leaves out a lot of disgruntled players. After all, many today – including Cuba, Iran, Libya, North Korea, Somalia, Syria, and Russia – are laboring under United States financial sanctions. Their governments will not necessarily care about global externalities if they encourage cryptocurrencies that might have value as long as they are used somewhere. So, while we shouldn’t be surprised by this year’s cryptocurrency price bust, the price of these coins is not necessarily zero. Like lottery tickets, there is a high probability that they are worthless. There is also an extremely small outside chance that they will be worth a great deal someday, for reasons that currently are difficult to anticípate. SHASHAUNA PHILLIPS, a 43-year-old single mother in Charleston, South Carolina, loves her job at Walmart. There is just one problem. As a customer-service manager, responsible for supervising cashiers and keeping customers happy among other things, she is rarely given consistent working hours. “One week I might have four days on the schedule and the following week I might have two,” Ms Phillips says. “It makes my life a struggle.” Things may be getting better. 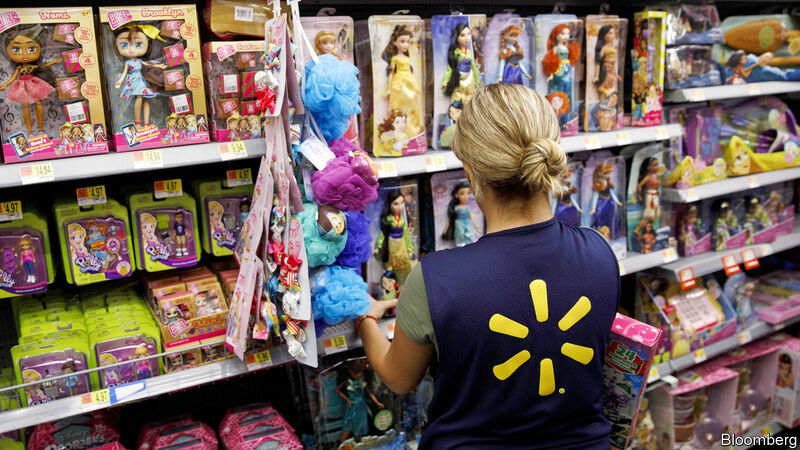 Walmart has launched a new scheduling system that will give its 1.5m domestic workers more predictable shifts. As the labour market tightens, and state and local lawmakers clamp down on unpopular scheduling practices, more firms are likely to follow. Over the past decade, American big-box retailers, supermarkets and fast-food chains have relied on workforce-management software to match worker supply and demand. Such systems boost profitability by scheduling only the minimum number of employees needed to keep lines moving and cash registers ringing. But they also encourage practices like keeping workers on-call for shifts that may never materialise, or sending them home early when business is slow. This kind of just-in-time scheduling is widely disliked by workers. A study published in 2017 found that the average worker is willing to give up 20% of wages to avoid an irregular schedule set by an employer on short notice. Lawmakers in Congress have left the question for companies to resolve. The Schedules That Work Act, which would force retailers to set schedules two weeks in advance and pay employees extra for any last-minute changes, has languished. States and city governments have done more. In 2014, San Francisco became the first big city to regulate scheduling practices. “To be honest, it’s been fairly smooth from what I can tell,” says Jim Lazarus of the San Francisco Chamber of Commerce. Seattle passed similar “fair work-week” legislation in 2016, followed by New York City and the state of Oregon in 2017. Chicago and Philadelphia are considering similar bills. Some companies have also implemented reforms in response to public pressure. In 2014, after an unflattering report by the New York Times, Starbucks announced an end to “clopenings”, the practice of scheduling an employee to close a shop late in the evening and return hours later to open it the next morning. The next year, more than a half a dozen retailers including Abercrombie & Fitch, J.Crew and Victoria’s Secret agreed to end on-call scheduling after New York’s attorney-general began investigating the legality of the practice. A recent meeting between Morocco and the Polisario Front is the result of many forces at work, including competition between Saudi Arabia and Iran. The competition between Saudi Arabia and Iran is expanding. The latest evidence of their jostling surfaced last week in Morocco, where the government and the Polisario Front, a group fighting for the independence of Western Sahara, wrapped up United Nations-brokered talks on Dec. 6 with an agreement to meet again next year. It’s a small but important step in a long, slow process. The U.N. has been trying to get Rabat and Polisario back to the table since a disagreement scuttled the last round of talks in 2012. And it owes the success of the recent discussions in no small part to the rivalry between Riyadh and Tehran. Morocco has long been a Saudi ally. It depended on support and weapons from Saudi Arabia during its war in Western Sahara from 1975-1991, and in 2015 it joined the Saudi-led coalition in Yemen, contributing a squadron of warplanes to the effort. As a Sunni country, moreover, Morocco is wary of Iran and its revolutionary ambition to spread Shiite Islam. Rabat severed relations with Iran in 2009, accusing Tehran of trying to convert Moroccan Muslims to Shiism. After resuming ties in 2014 – under the condition that Iran stop proselytizing on its territory – Morocco again broke things off with the Islamic republic this year over allegations that Hezbollah was arming the Polisario Front, with Tehran’s sanction, through the Iranian diplomatic mission in Algeria. Iran vehemently denied the accusation, as did Algeria, though it harbors Polisario’s exiled government and has supported the group to pressure Morocco, with which Algeria has had border disputes and rocky relations. Many have questioned Iran’s interests in the Morocco-Western Sahara dispute. But a clear strategic logic supports the notion that Iran has been backing Polisario. According to Morocco, Iran’s support for the group began in 2016, shortly after the Saudi-led intervention in Yemen began. Supporting Polisario would give Tehran a way to try to coerce Rabat into withdrawing from the Saudi coalition effort against the Houthis, an Iranian proxy. If that was Iran’s strategy, it seems to have worked. Morocco withdrew its squadron from Yemen in April, after Houthi forces downed one of its F-16s, citing the growing risk in Western Sahara, where Rabat claimed Polisario forces were trying to declare a regional capital. The Moroccan government announced it would not tolerate such a move and again suspended relations with Iran the next month. Then in August, it reinstated military conscription. The decision was doubtless meant in part to divert the growing number of unemployed youth in the country from more radical activities – but it was also a way to augment Morocco’s forces along the border with and in the occupied zones of Western Sahara. Despite Morocco’s decision to pull out of Yemen, however, Iran is still on weak footing in the Middle East. The Saudi coalition’s recent offensive in Hodeida succeeded enough to compel the Houthis to attend peace negotiations in Sweden, after they refused to participate in the previous round of talks in Switzerland in September. The development may well signal to other Iranian proxies that their benefactor, tied down as it is closer to home, lacks the clout to secure their interests. And it’s probably part of the reason Polisario opted to take another shot at peace talks with Morocco. Iran’s weakness isn’t the only factor at play, though. After all, the conflict between Morocco and Polisario started long before Iran’s alleged support for the movement in Western Sahara did. By far the greater consideration for Polisario is Algeria. It’s a critical ally, since it hosts Polisario’s exiled government. But in November, Morocco offered to hold talks with Algeria without any preconditions or restrictions on what topics they would cover, indicating that it is open to a compromise over the border issue. Algeria has yet to respond to the suggestion, but Morocco seems eager to reach a resolution. (On the other hand, Algeria did participate in the talks with Polisario as a neutral party, a designation Rabat objected to because of its claims that Algeria has actively participated in the conflict.) 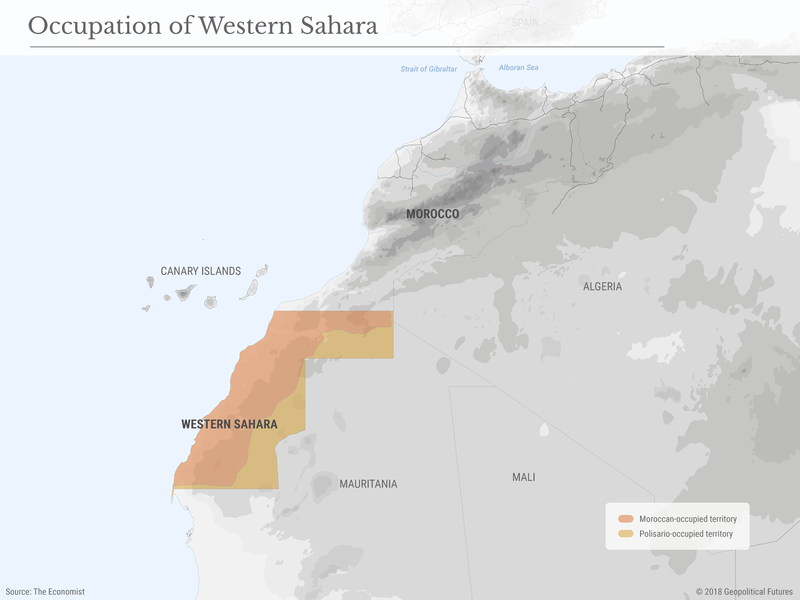 Were Algeria able to secure favorable terms with Morocco over their border and territorial disputes, it may have less reason to maintain its support for Polisario’s fight in Western Sahara. For Polisario, losing Algeria’s backing would be a far heavier blow than losing Iran’s. Morocco’s interest in negotiating with Algeria suggests that larger forces may be at work here. For example, the United States, a close ally of Morocco (which was the first state to recognize U.S. independence) could be leaning on Rabat to resolve its differences with Algiers and reduce Algeria’s incentive for cooperating with Iran. The last thing Washington wants is for cozy relations between the two to pave the way for a Hezbollah presence in North Africa. The U.S. has taken similar steps elsewhere in the world, such as in the Horn of Africa. 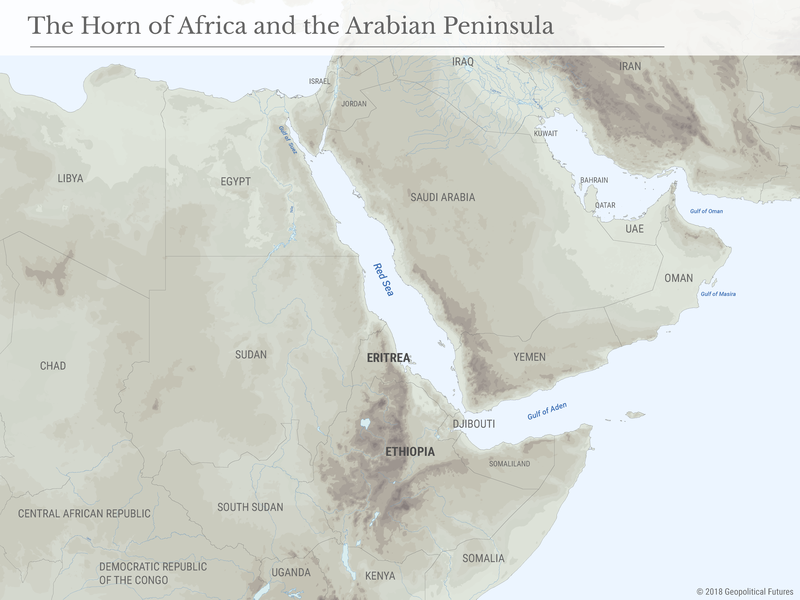 Washington probably had a hand in arranging the detente between Ethiopia and Eritrea earlier this year in a bid to secure access to the Red Sea that doesn’t depend on Djibouti, which is becoming increasingly crowded with foreign competitors. For Algeria and Morocco alike, foreign interest – whether from Iran or from the U.S. – could be a powerful tool for achieving their regional goals. If Morocco’s allegations are true, Algeria may very well have gained an important bargaining chip by allowing Hezbollah to operate within its borders. Now, in its negotiations with Morocco, it will be able to offer something the U.S. desires: a diminished Iranian presence in North Africa. The apocalyptic fires that hit California last month have left observers scratching their heads and wondering how destruction on that scale could be possible – and how much it will cost in the future if the causes aren’t addressed immediately. This morning’s Wall Street Journal concludes that 1) the problems aren’t being addressed and 2) this failure is going to cost a fortune that no government is prepared to cover (emphasis added below). Building codes, state grants and low insurance rates have encouraged people to flee expensive cities for their dangerously fire-prone fringes. The historically deadly wildfires that have roared through California this fall, and a string of similarly destructive ones over the past two years, are boosting calls to do more to slow climate change. But another underlying problem has contributed to the fires’ tragic damage: For decades, California, supposedly the greenest of states, has artificially lowered the cost of encroaching on nature by living in the woods. Permissive building codes, low insurance rates and soaring taxpayer spending on firefighting and other services have provided an economic framework that has encouraged people to flee the state’s increasingly expensive cities for their leafy fringes. The forested exurbs, including places once thought too hilly or too dry to develop safely, have offered comparatively affordable living with jaw-dropping views. The upshot: More houses have been packed into the fire-prone border between civilization and forest—known among planners as the “wildland-urban interface,” or WUI—in California than in any other state. This problem isn’t restricted to California’s woodland. Along the coasts, loose building standards and easy federal flood insurance have socialized the costs of building in the path of worsening storms and rising sea levels. It is time, in the parlance of classical economics, to internalize the long-externalized costs of building in the trees or by the beach. California, both a bellwether of aggressive environmental policy and a pioneer of suburban sprawl, typifies the problem. For years, Cal Fire, the state wildfire-fighting agency, has been spending increasing sums to put out wildfires, as has the U.S. Forest Service. Already by 2006, according to an audit, most of the money the forest service was spending to put out large fires was “directly linked to protecting private property” in the wildland-urban interface. Meanwhile, at public cost, government has been encouraging more development by pushing infrastructure—roads, utilities, rescue services—ever farther into the forest. In Redding, a city in far northern California where some neighborhoods were devastated by this summer’s massive Carr Fire, city officials have worked in the past with developers navigating the building code to help them save on costs, City Manager Barry Tippin says. For instance, Redding let a developer build a subdivision with just one road in and out instead of two under an allowed exception in the code; the one road was wider, but two are generally considered safer in an emergency. Now, he says, officials are reassessing their view of the code and have won a grant to pay for an outside review of their rules. “In the future, we should take a more deliberate and maybe harder stance,” he says. Once a house is built in California’s WUI, the state’s unusually low insurance rates have the effect of shifting much of the real cost. The average California homeowner pays about $1,000 a year in homeowner’s insurance—about half the level in Florida or Texas, two other states with markedly rising incidences of natural disasters believed linked to climate change. That is a result of state policy, not an accident. California has an elected state insurance commissioner, one of 11 in the country who are elected, who caps the rates private insurance companies may charge. 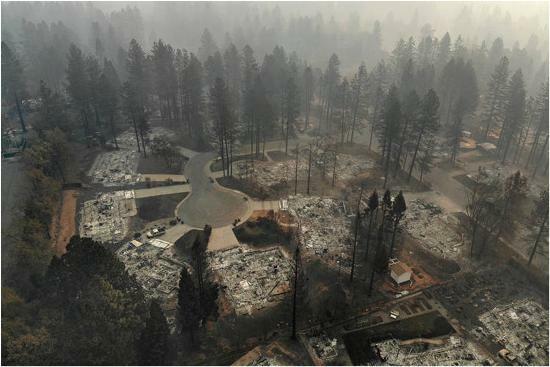 When insurers seek permission to raise rates to cover catastrophes, state law requires that they average at least 20 years of prior catastrophic-loss data, which minimizes the recent dramatic increases in fire damage. Those increases, wildlife specialists warn, suggest things to come. If your response after reading this is “Those people are total morons,” you’re probably in the majority. Using artificially-cheap insurance and purposefully-lax building standards to destroy what’s left of a unique ecosystem is a crime against nature. And asking taxpayers to cover the resulting catastrophic costs is political suicide. But of course the politicians, builders and bureaucrats who created this system will have moseyed off into the sunset with their fortunes intact before the full consequences come crashing down on tomorrow’s taxpayers. Add the cost of entire future communities consumed by flames to the already gargantuan pile of unfunded pension liabilities that the state has accumulated, then toss in the plunge in tax revenue sure to result from the coming recession and equities bear market, and California might have bumped Illinois from the top of the “first state to go bankrupt” list. As for why non-Californians should care, well, just go back a decade and note how the federal government (read national taxpayers) had to take on nearly the entire $10 trillion liabilities of the mortgage industry. Bankrupt states will no doubt get similar bail-outs when their time comes. Which means the dysfunction will eventually find its way into the currency markets. Gold becomes more necessary with every one of these stories.